Paddy Power is no stranger to a bit of controversy in their marketing. From a photoshopped deforestation stunt for the 2014 World Cup to a Last Supper-style gambling party. In an 'if it ain't broke, don't fix it' move, the betting giant came clean today on one of their most controversial campaigns yet- easing the worries of animal activists everywhere. 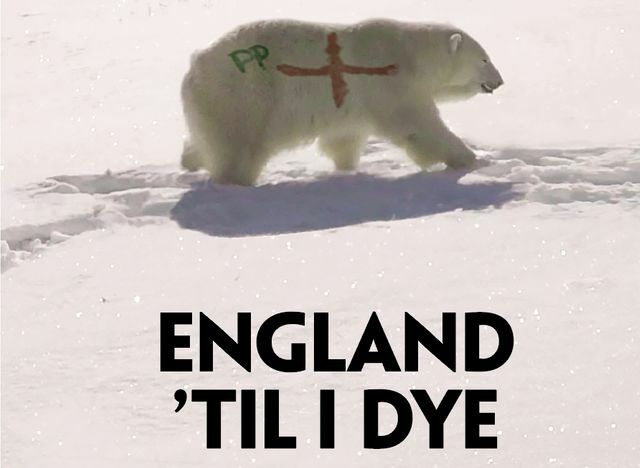 The seemingly disrespectful move to spray paint a St Georges Cross onto a Polar Bear sent twitter into a meltdown less than a week ago and sparked the controversy that PP craves. Even going as far as to 'confirm' with joe.com that the video is real and that they have indeed defaced the animal. In true PP style however, today they revealed this was of course a hoax (how would you really get close enough to a polar bear to spray paint it?!) but that they are actually supporting Polar Bears International and have donated a 5 figure sum to help the plight of the animal. The old saying of 'there's no such thing as bad press' seems to ring true again and again for PP. But it is their skill in touching the right nerve- whilst actually having a heart at the centre of the matter- that really makes them the masters of controversial ambush marketing. Time and time again they successfully take the focus off the event they have leveraged, and onto themselves. Hitting the sweet spot over and over for their marketing campaigns must make them the envy of their competitors but it will be safe to say this betting giant won't be stopping any time soon. Having previously focussed on the environment, religion, the blind and now animals no one is safe from this tongue in cheek marketing machine! Now when it comes to this World Cup, there’s already plenty of people talking about Russian hooligans, Harry Kane’s captaincy and who England’s next scapegoat will be. But how many football fans are discussing, say, the Russian Arctic’s endangered polar bears that roam across the longest Arctic coastline in the world, and some of the most remote? Scientists don’t know enough about the bears across this vast and inhospitable area that is not only experiencing record sea ice loss, but is also targeted for increased industrial activities and shipping. 'Outrageous' and 'disgusting' World Cup video emerges. UEFA take the women's game to dedicated YouTube channel. AC Milan content "linguistically able to reach almost half the world's population!" The NFL is here, but where are your allegiances? Future of Media Consumption / Media Rights? Inside the world of football kit deals! The world's most expensive shirt sponsorship deals! Next gen sports stadia! Fan zones, Tunnel clubs, Jails & Courtrooms!